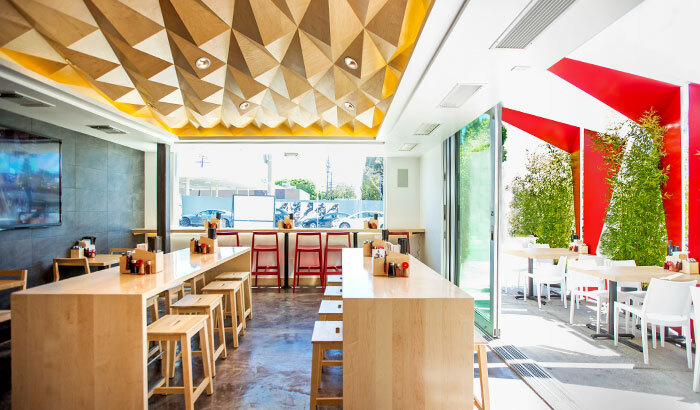 Just steps away from the iconic Pink Hotdog in Los Angeles, Tatsu Ramen opens its second outlet. 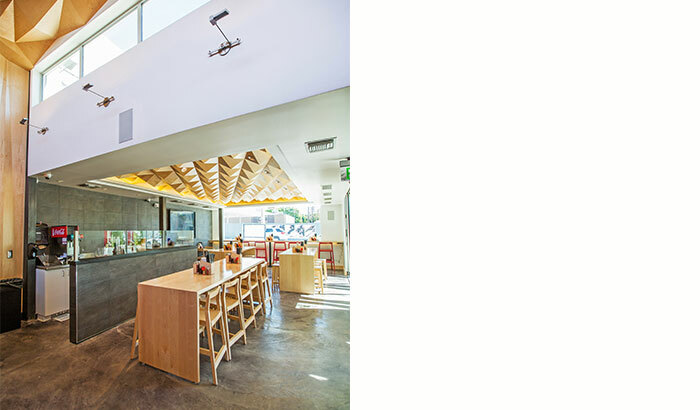 Situated at Melrose Boulevard, 15 minutes away from Beverly Hills and Hollywood, this ramen restaurant is approximately 2,200 sq ft. Maintaining the brand colour palette of black, white and red from its first outlet, we weaved these three colours into the new space. To create a modern space suitable for the client’s young clientele, iPad kiosks were placed at the entrance for customers to order their food before being seated. The iPad kiosk is a modern interpretation of how diners order through coin machines in Japan traditionally. 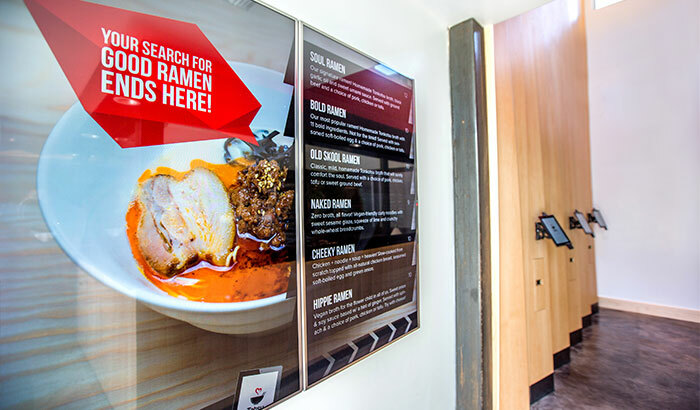 It also helps to ease congestion at the ordering station, avoiding what Tatsu Ramen currently faces at its first outlet. 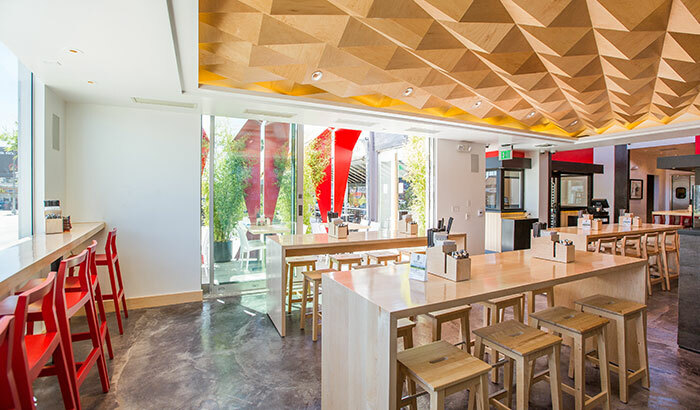 Drawing inspiration from Origami, a traditional art form in Japan, the space unfolds with the art of folding to create origami-like forms and structures, while enclaves were injected within the dining area so that the origami-like structures envelop the interior. The space is kept open and spacious to provide for a comfortable dining experience with natural lighting that keeps the space warm and welcoming. The final product is a clean, edgy, ultramodern and minimalist space. Opened for business since July 26th 2014, do pop by and enjoy a bowl of Tatsu Ramen if you happen to be in the lovely city of L.A.